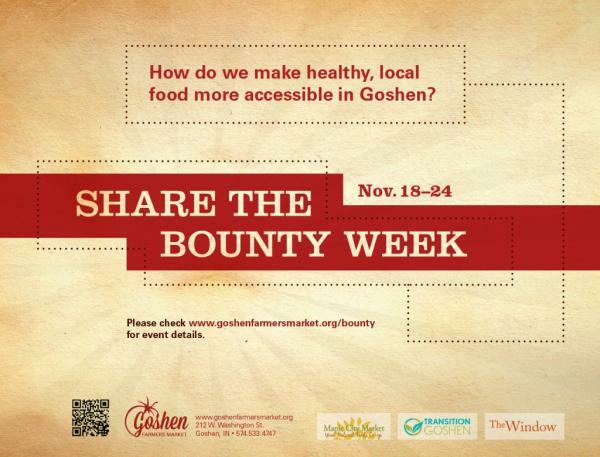 Goshen's first "Share the Bounty Week" took place November 18 to 23, 2013. 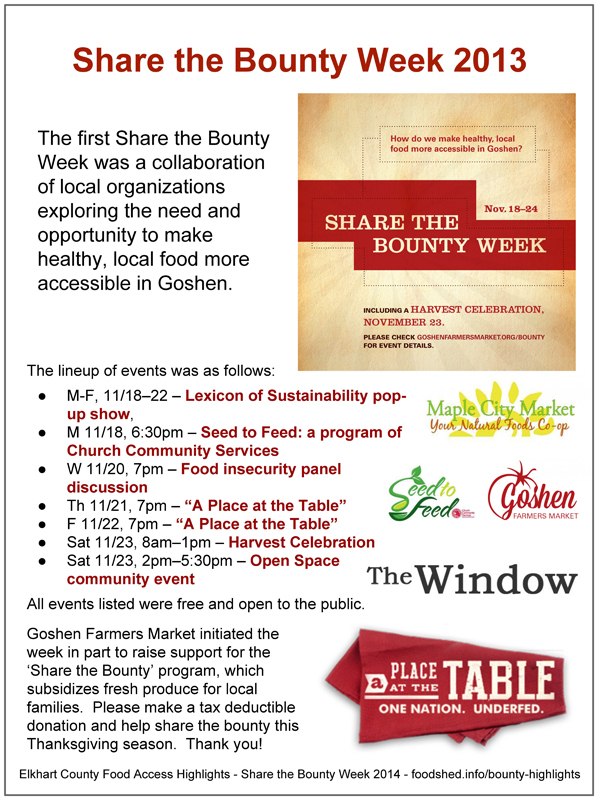 The week was a collaboration among Transition Goshen, the Goshen Farmers Market, The Window, Maple City Market, Church Community Services (CCS) and other organizations committed to making healthy, local food more accessible in Goshen and Elkhart County. The week's events included a variety of community dialogues including a World Cafe, an Open Space, and a panel discussion. Laura Bruno's article for the Maple City Market newsletter identifies some of the week's stories and connections.